Did you know that when automatic garage door openers became popular, all garage door openers were to be opened using the same code? These were the first generation garage door opener systems. When second generation garage door openers came out, they improved the security so that there were more codes available, but it was still possible to open someone’s garage door with the same code as your own garage door. Fortunately, once it hit the market during the 90’s, garage security improved dramatically, so that now there were a wide range of possible code combinations available. The way a garage door opener system works is by a communication between a remote and the garage door opener. The remote will send a code to the garage door opener receiver which then opens the door and automatically will create a new code for the next garage door operation. This manages the problem of radio scanning hackers who used to be able to illegally capture a garage door opener security code in order to open your garage door when the residents are not home. As you may know, there are a few different cables and springs that go into allowing your garage door to function accurately. If any of these parts break or aren’t installed properly, your whole garage door won’t be able to function as it should. The parts of a garage door system that we find are most common to fail at some point need the most are the garage door springs, the garage door cables, the garage door track/roller or the garage door’s safety sensors. If your garage door opens and closes randomly, there is something wrong with your transmitters and you should call a technician for assistance. 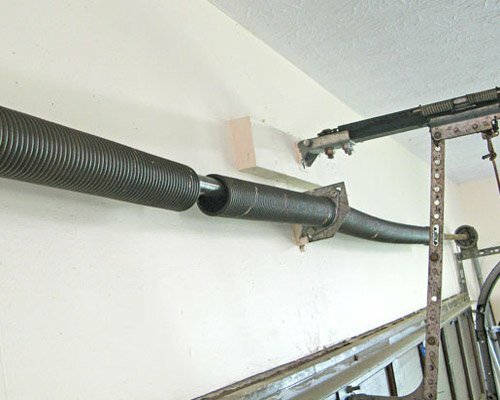 If your door will not open automatically or it closes with a startling bang, there is an issue with your garage door springs or cable in which a garage door repair Spokane technician may need to either replace or repair. It’s a good idea to call for assistance from a professional when it comes to repairing a garage door. Always make sure that your transmitter batteries are operating accurately. Outside factors such as the temperature of the weather outside can affect the lubricant of your garage door, thus affecting how easily your garage door may open. Sometimes your garage door can get filthy inside with dirt and grime around the wheels causing your door to move oddly, like a shimmy or for the garage to make funny noises when moving. But if you’re sure the wheels of your garage aren’t messy, a spring may be uneven and service required. If you want to make sure your garage door works for as long as it can, be sure to perform simple maintenance. Give your garage an inspection every few months; does anything look frayed, cracked or loose? 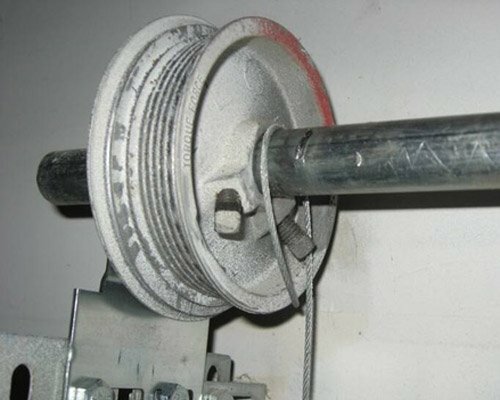 Give special attention to your garage door springs, cables and track. It may be good to close your garage manually sometimes, and see whether it lifts open without resistance. If not, your garage is probably off balance and needs to be serviced by a garage door repair Spokane technician. It is always a good idea to lube up your garage door hinges rollers and tracks at least once a year.